Heat oven to 350°F. Unroll pie crusts. Sprinkle both sides of crusts with flour. 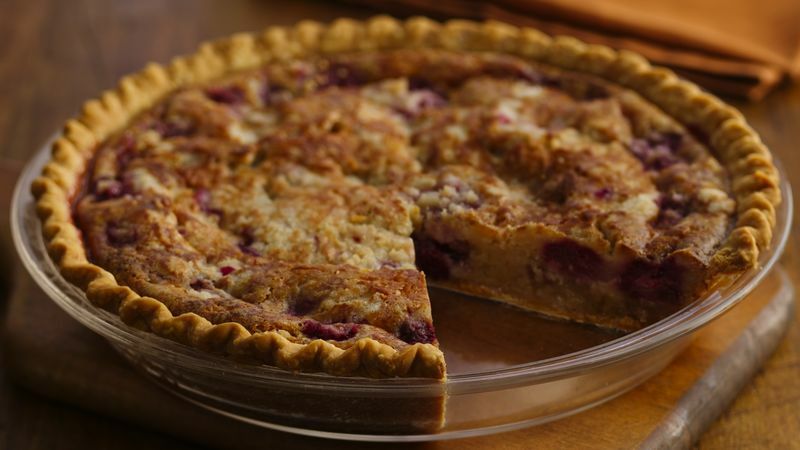 Place 1 crust in each of two 9-inch glass pie plates. Combine 1/2 cup flour, 3 cups sugar and the berries; toss to coat berries. Divide equally between pie crusts. Mix eggs, milk and 1 teaspoon vanilla; pour equal parts over fruit. For topping, mix 2/3 cup flour with 1 cup sugar. Cut in butter and 1/2 teaspoon vanilla until topping looks like coarse crumbs. Sprinkle crumb mixture equally over berry fillings. Bake about 1 hour or until golden brown. Cool at least 2 hours before serving. Cover and refrigerate any remaining pie. If using strawberries for the fresh berries, use a combination including some other berries as well so filling holds together better.